Most people have small issues with their smile that they wish they could address. 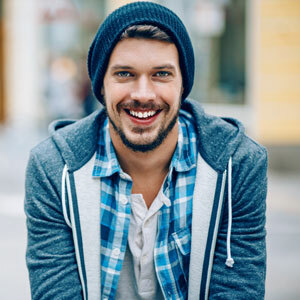 If you’re one of them but have always thought that you wouldn’t be able to make the changes you want, May St Dental Centre may have your perfect solution with dental bonding. Dental bonding can correct minor flaws in teeth. It allows you to avoid more dramatic procedures while making the corrections you’ve hoped for. A simple process is involved in dental bonding. If your teeth are stained or yellowed, you may want to whiten your teeth first. We’ll then match the shade of the composite used for bonding to your natural teeth, ensuring it blends in seamlessly. The first step is to etch the surface of the teeth, which roughens them so that they can receive the composite material. A conditioning agent is then applied to the tooth so that the composite can bond. Next, the composite material is applied layer by layer, then hardened with a curing light. After the final layer has been put on, it is smoothed and polished to a luminous finish. There is minimal preparation work required before having dental bonding. Your existing teeth can be left fully intact with the composite applied on top. Since bonding is noninvasive, you will be comfortable throughout the procedure. It can be completed in a single appointment, so you don’t have to worry about fitting multiple visits into your busy schedule. Bonding is versatile, too, since it addresses a broad range of aesthetic concerns. If you’re wondering whether dental bonding East Fremantle is right for you, contact our team today to learn more! Health funds are accepted, and payment plans are available.